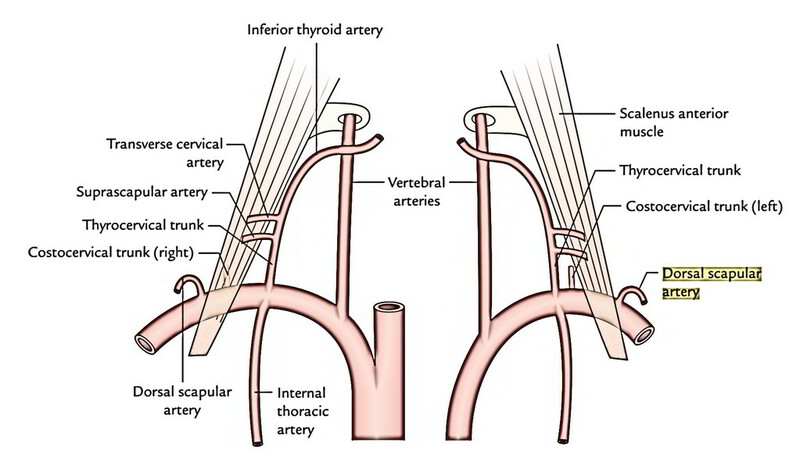 It appears from the 3rd part of the subclavian artery (but may be the deep branch of the transverse cervical artery). As a direct branch of the subclavian artery, it enters laterally and backwards between the trunks of brachial plexus to reach underneath the levator scapulae. Now it descends along the medial border of the scapula in business with dorsal scapular nerve deep to rhomboids and takes part in the formation of arterial anastomosis around the scapula.